Designed: Specially designed for Samsung Galaxy A7 2018 Smartphone,100% brand new. 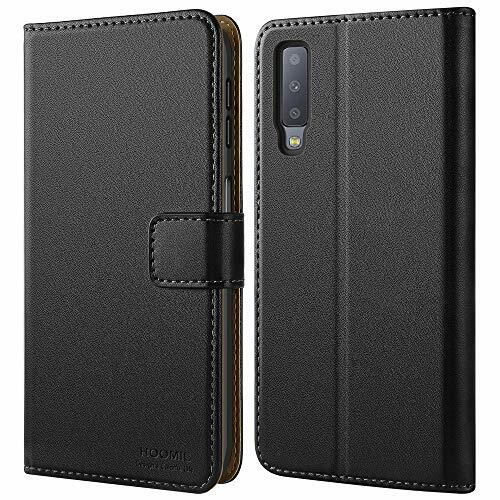 Elegant and stylish: The premium Samsung Galaxy A7 2018 TPU case with hexagon texture on the back. 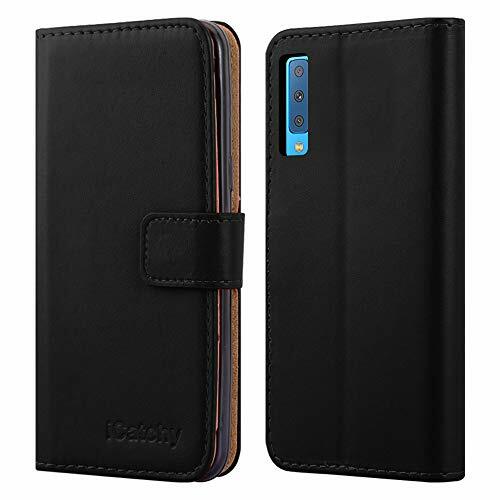 NOTE: This leather case is compatible with SAMSUNG GALAXY A7 2018, please check your cell phone model before buying. 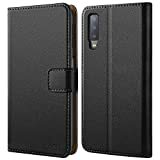 TOP QUALITY: This Samsung Galaxy A7 2018 Case is made of high quality PU leather and flexible TPU, protects your smartphone from accidental drops, bumps, dust and scratches. 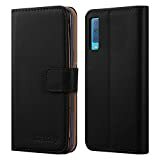 MULTI-FUNCTIONAL, SIMPLIFY YOUR LIFE: The Samsung Galaxy A7 2018 Wallet Case featuring 2 Card Slots and 1 Money Pocket, you can carry around your ID, credit cards and cash, without having to take your wallet with you. 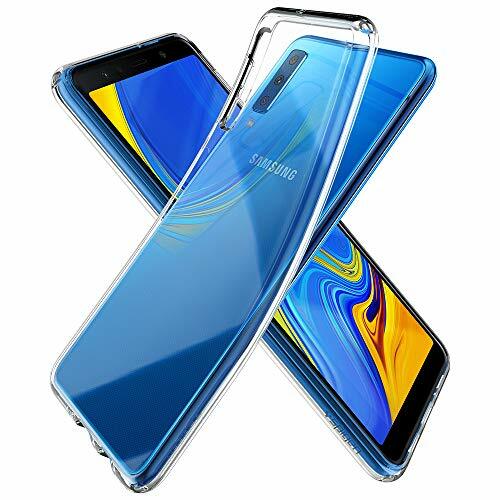 PERFECT VIEWING ANGLE: This Samsung Galaxy A7 2018 Flip Case can be switched to a horizontal position and act as a stand function, convenient for movie-watching or video-chatting. 1. 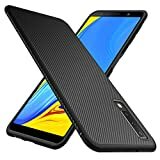 [Material]:New specially designed look featuring carbon fiber textures for Samsung Galaxy A7 2018. 2. 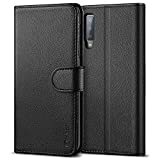 [Scratch-resistant]:This cover case is more endure scratches and scuff marks more than a regular case. 3. [Protective]:Exact fit ensures protection and shock-absorption all around protection with Air Cushion Technology for all corners. 4. [Perfection]:Access to all the controls and features; Perfect cutouts for speakers, camera and other ports. 5. [Money Back Guarantee]: As part of our strong believe and confidence in our product, we offer 90 days money back guarantee in the process if you are not satisfy with it. 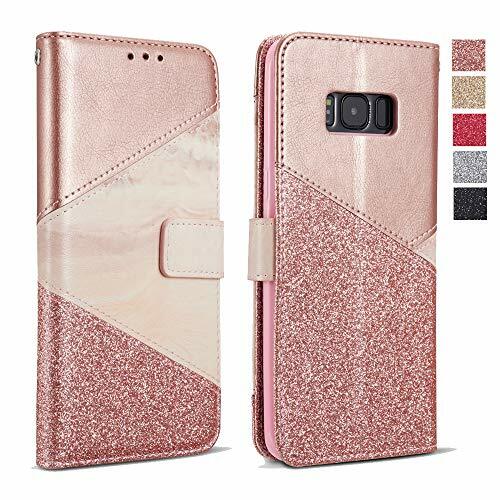 Durable material wallet case, specifically designed for Samsung Galaxy A7 2018. 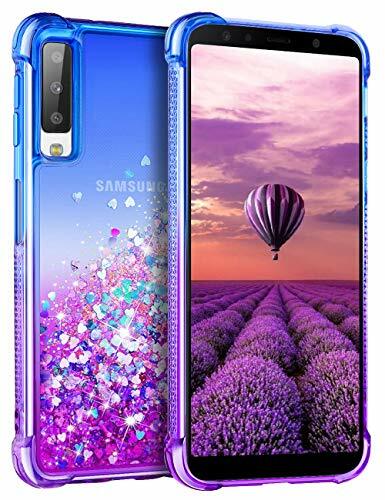 COMPATIBILITY - Designed specifically for Samsung Galaxy A7 2018.The Ceramic Pattern is irregular.It is not dirty mark.The images are only for reference. 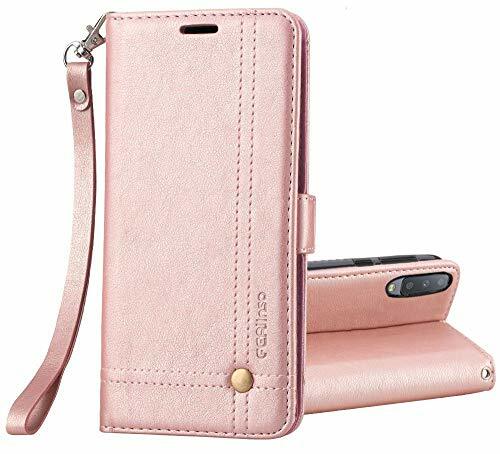 UNIQUE DESIGN - Special Contrast Colour Block Ceramic pattern Design on the case makes your phone different and eyes-catching.Stand function which will bring you more convenience for movie-watching with multi-viewing angles, hanging out with friends on Face Time, and taking timed group photos. 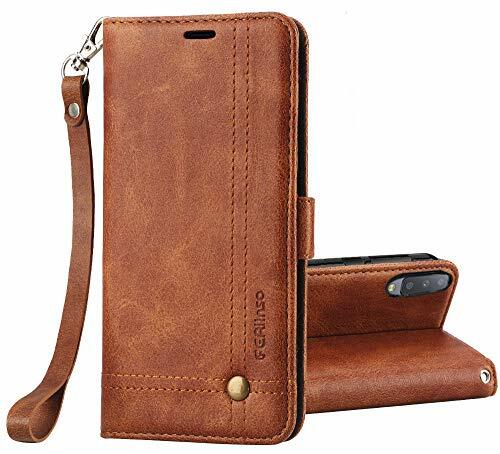 PREMIUM QUALITY - Made of soft & premium polyurethane material with the intention of protecting your phone from dents, scratches, or any other daily wear for keeping your phone securely in place and enjoying a great look with high-quality leather-effect design. 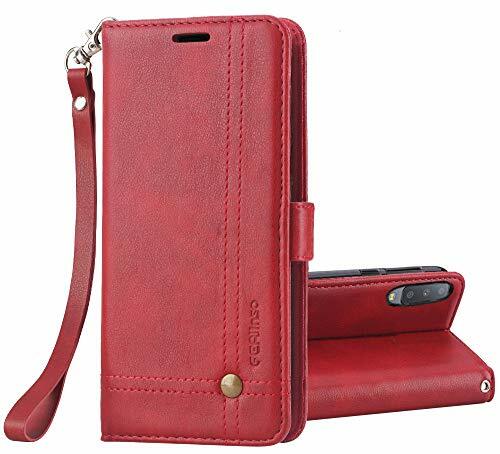 CONSIDERATE PROTECTION - The plastic shell securely holds your handset in place, protecting both the front and back from scratches, scuffs, and scrapes.This strong but sleek frame is designed to be one of the slimmest leather cases available for your cellphone. ACCESS TO ALL THE CONTROLS - Easy to install and can be removed anytime. Access all buttons with the case, and the size is comfortable for you to catch. 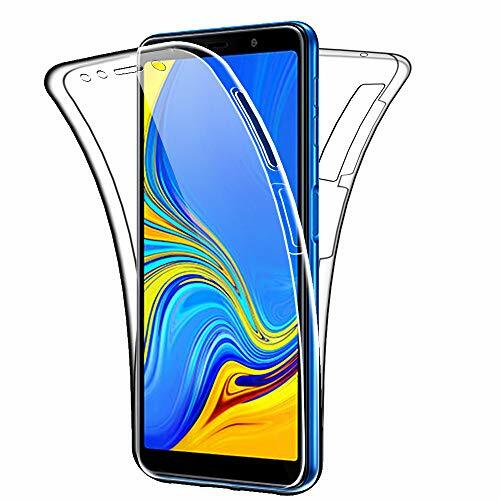 【Important Note】: Especially designed to fit the Samsung A7 2018 Phone's screen perfectly and cover the flat portion of the screen only, NOT THE CURVED EDGES. 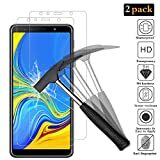 ANEWSIR chose this design in order to provide maximum coverage, maintain longevity and durability while preventing the screen protector from peeling off. 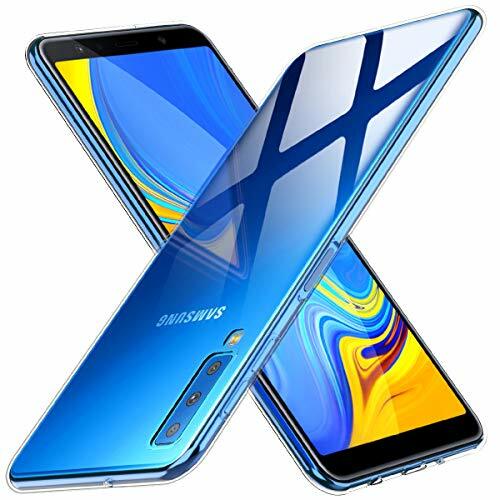 【Super Clear】: 99.99% high sensitivity transparent glass is full compatibility with touchscreen sensitivity, which can reproduce the optimum color, allows you to experience the display Samsung A7 2018. 【Scratch-Resistant】: 9H Hardness which can effectively protect your phone from unwanted scuffs and scratches by knife, keys and some other hard substances. 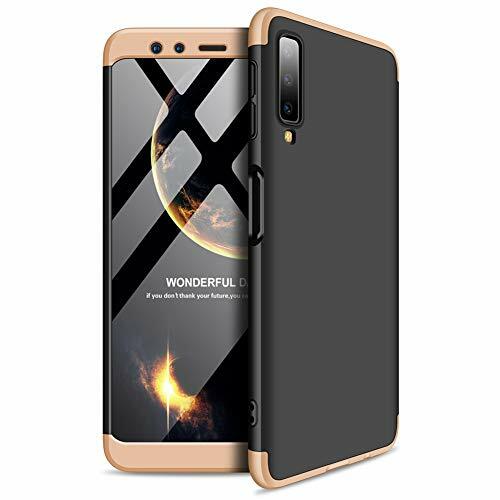 【Ultra Thin】: Only 0.26mm thickness maintains original response sensitivity, the smooth feel premium tempered glass which keeps scratches and smudges away for a clear view of your phones screen. Compatible with Samsung Galaxy A7 2018. Bling Bling Style: Floating quicksand with sparkle love heart, the glitters float freely as you move or shake your phone, bring you different feeling! Lighten your life, refresh your mood and motivate your Queen dream! Dust proof: precise cutouts give you full access to all buttons, maximize the function of your phone; one piece anti-dust plug keeps the dust out. Maximum Full Protection: Protect your Phone against Dust, Scratch, Impact and other unwanted damages. 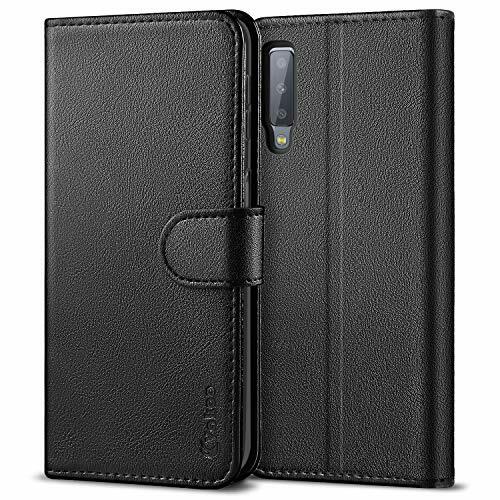 A selection of premium PU leather, dirt-resistant and 1.5mm soft TPU inner case, smooth and glossy effect. Seams respecting international standards, more than 3 points per cm. The precision of the cut reaches 0.001 mm. This smooth and uniform stitching gives you a different visual experience. 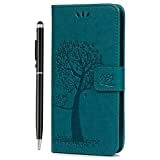 This Samsung Galaxy A7 2018 case features with magnetic closure, 1 cash pocket and 2 card slots, convenient to securely store your credit cards, receipts and currency. 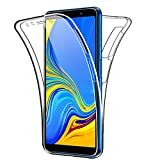 This Samsung Galaxy A7 2018 flip case also can be converted into kickstand function, which is ideal for watching videos. Vakoo Samsung Galaxy A7 2018 phone case is committed to providing approved professional warranty and after-sales service for a period of 1 year. If you have any questions, please do not hesitate to contact us. Compatible with Samsung Galaxy A7 2018, Designed and manufactured by Spigen. [Compatible with Samsung Galaxy A7 2018] - Precise cutouts and easy access to ports for charger, speaker and camera without having to take off the case when charging, listening to music and taking photos. [Hands Free Entertainment] - this Samsung Galaxy A7 2018 shockproof case offers convenient hands-free movies watching or video meeting, with its built-in kickstand function. [Owl Tree Embossed Design] - Soft Samsung Galaxy A7 2018 PU leather case, designed with unique owl tree embossed, brightens your cell phone, your daily life as well;Decent PU leather bonded with soft TPU interior offers snug grip. 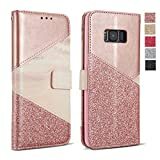 Side Wallet Magnetic Closure Style PU Leather Samsung Galaxy A7 Case With Plastic holder and Card Holder. 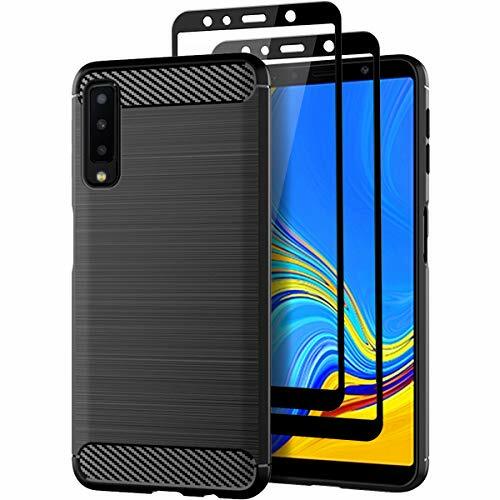 Designed for Samsung Galaxy A7 2018 --- Lightweight yet super protective case that fits your Samsung Galaxy A7 2018 perfectly. Moreover, we will give a special tempered glass screen protector as a present to you. Combined with the phone shell, 360 degree comprehensive protection your phone. Perfect cut cuts ,that allow access to all buttons, controls and ports, without removing the case. Minimalist slim fit with only 1mm in thickness, the weight just only 19 grams. 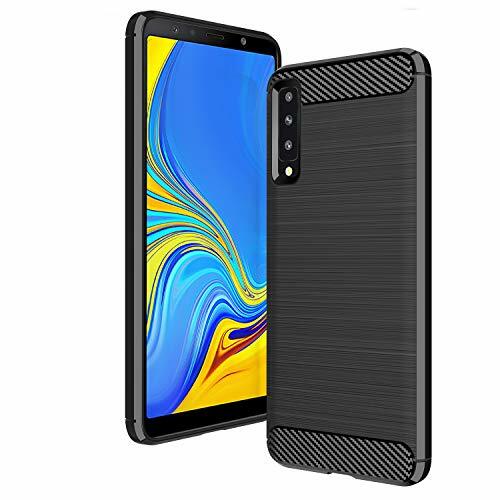 Extremely thin, give you a feeling of without the Samsung Galaxy A7 2018 case. 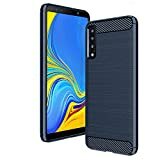 Compatible with Samsung Galaxy A7 2018, Notice: It is NOT fit for Samsung Galaxy A7 2017. 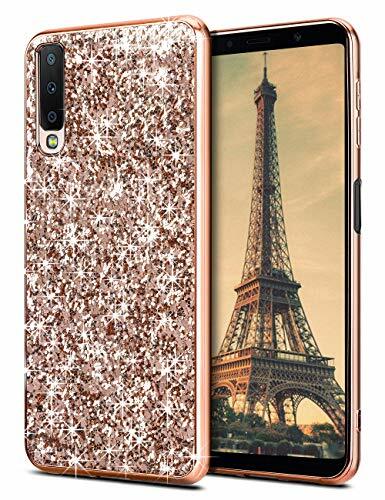 Hybrid Design: Composed of soft TPU bumper, Hard PC and glitter sparkles bling back cover to protect your phone. [Thin and Light]: Slim and light weight design will never make your Phone looks bulky.